Have Your Science Questions Answered! We all have misconceptions about how the physical and natural world works. 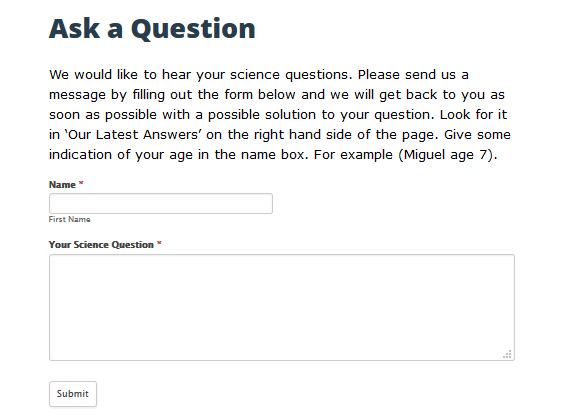 Wouldn’t it be great if there was a Science site where younger students could get help with their questions? The good news is there is a site, The Science Master, and it’s been set up on Edublogs to provide a safe learning environment for students. 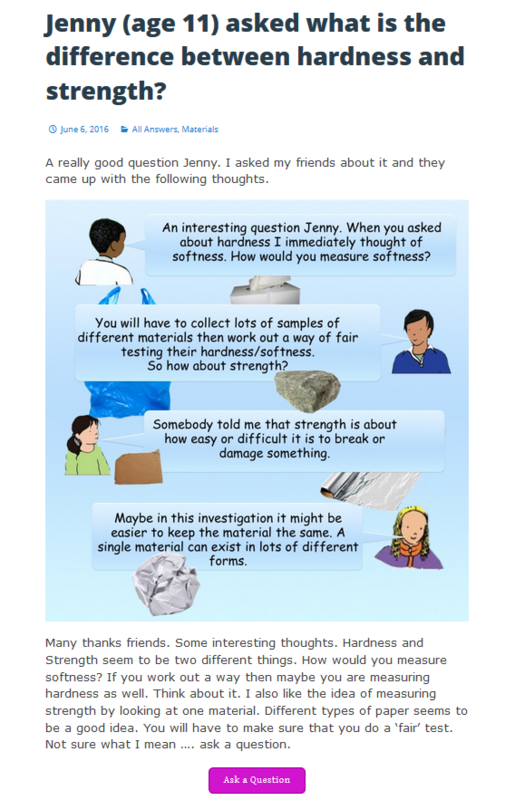 The Science Master has been designed for children/pupils to ask questions that they might feel that they cannot ask in a class environment. To some of us asking questions in a public forum can be quite a daunting experience. I s it safe? It’s an Edublogs site. The children/pupils are not asked for an email address, or their real name. They are just asked for a name and some idea of their age. They find their answer by following the website as answers will be linked to the information supplied. The site will obviously only offer answers to real questions (all questions are checked before publication). However these questions to the Science Master will not, in most cases, get a direct answer. The Science Master and his friends will try to give the questioner(s) a pathway that will help them investigate the question at their own level of understanding and arrive at possible solutions. They are the scientists. Students ask their questions here, check all Answers here and have an option to Ask another question or leave a comment on responses to questions. They can comment on their own investigations and other readers can add their comments (including the Science Master). This is the blogging environment. Here’s the answer to a question asked by a student! “I have been using Edublogs in a variety of ways for the last 10 years so when I was invited to develop the Aston Tower, Science Master site Edublogs became my first choice as a tool to build what then, and still is, a fairly unique site. The kids loved it, criticized it, and helped develop it, as well as apparently enjoying it! Hi Sue. Great idea and we will be showing this to our granddaughter (10) who loves Science! Thank you for this one, Sue! We took my grandson, age 7, to the Wild Cats Park in Cave Junction and his questions amazed me. Luckily the guide could answer most of them because I certainly couldn’t! He’s coming to visit again next week and I’m going to explore this site with him. FUN!